Since its launch in 2016 it is pretty safe to say the PlayStation 4 Slim has done pretty well in terms of sales, although it obviously had to contend with the hype of having 4K ability with the PlayStation 4 Pro. I hold my hands up that I didn’t carry out any research whatsoever before purchasing my PS4 Slim, all I knew was it was white and it was slimmer than the original PlayStation 4 console (minimalistic is better if it does the same task as its predecessor). As I don’t have a 4K TV (yet), there was no point to me paying the extra £100 to get a Pro. Having an Xbox One S and using Turtle Beach Stealth Headphones meant I wanted the same experience to run parallel with my PS4. For those who aren’t aware, the Xbox One wireless headphone setup simply uses a wireless USB transmitter that just connects seamlessly from the console to your headphones – easy. The PS4 Slim setup is a little different though, because Sony got rid of the optical port on the slim it means buying headphones that require an optical connection to enable features like 7.1 surround sound is a big fat no-no. I found out the hard way when I bought some Turtle Beach Elite 800 headphones to get home and realise I couldn’t actually use them. If you’re a gamer who isn’t fussed about using headphones, and likes to output their sound through their TV then this probably won’t be much of an issue for you. Fair enough, this one may be a minor for some people but it sometimes proves annoying for certain aspects of gaming life. There are two ports on the front of the console, but as there are no USBs on the console rear it just makes things look a bit messy. 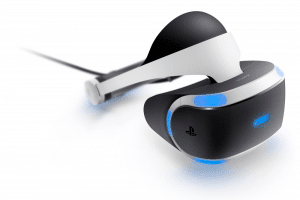 The PSVR is one example; there’s a generous (by generous I mean a fairly hefty amount!) of cabling to get the virtual reality headset up and running, and this includes the requirement for the processing unit to connect to USB which does look fairly untidy. Another example is connecting the USB dongle for a headset, my Xbox headset transmitter is discreetly connected to the console, whereas the only place to connect my PS4 dongle is via the front of the console. Hot, hot – damn that’s hot! One thing I have noticed with the console, is that it gets pretty hot if it is left on for any long period of time (I’d class a couple of hours as a pretty short gaming sesh). I guess it does make sense however though, the fact that it’s a slimmer console will mean there’s less space for a larger cooling fan so its probably to be expected. Let’s just say it hasn’t blown up in my face just yet from overheating! Design, conclusion, and all that jazz…. Design wise this console looks great, and by no means does the mentioned niggles warrant me upgrading to a PS Pro, I love the white with the matching controller and to be fair I won’t be trading this in anytime soon.